I am not sure what the Mirror Maze could offer inside that’s any better than what you can see on the outside – weathered brick, arches over the windows, a fire escape. 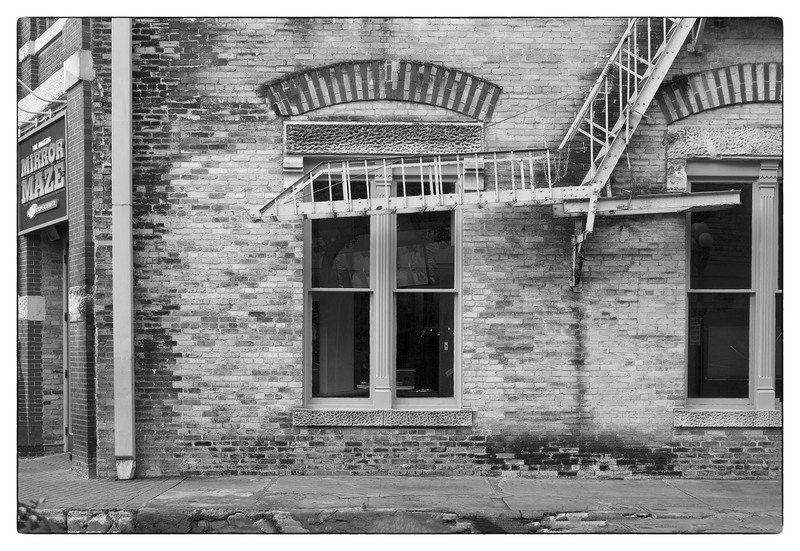 Posted on June 4, 2016, in Photography and tagged 365 photo project, architecture, black and white photography, downtown, Leica, melinda green harvey, monochrome, one day one image, photo a day, photography, postaday, san antonio, san antonio texas, texas. Bookmark the permalink. Leave a comment.